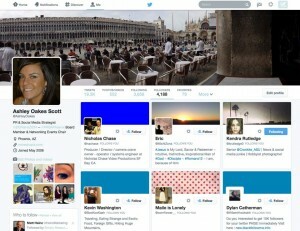 What are Twitter’s New Profile Changes? Over the past months our social media team has followed the rumors that Twitter has been in the process of redesigning and testing a new profile layout for both consumer and business Twitter accounts. 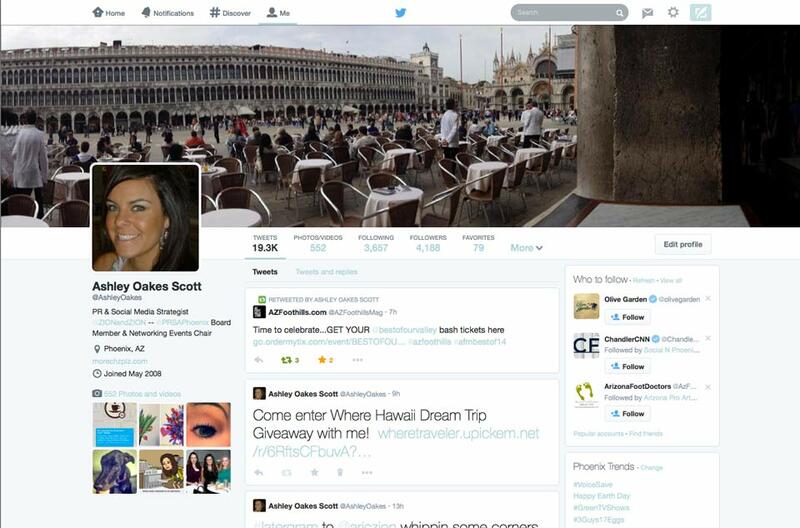 There are several new features in the Twitter Profile update. We will go into depth on all of the new changes explaining what this could mean for your Twitter usage. 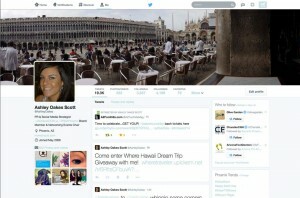 On April 22, 2014 when you logged into Twitter on a desktop, you may have noticed a pop-up asking you if you would like to try the new Twitter layout. Take the tour as it will give you a brief look into some of the major changes. You can now upload a profile pic that will automatically re-size into the space provided. If you have resources that can create a custom image for this spot, Twitter now asks for a 400x400px image image. 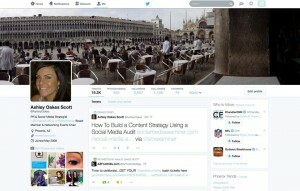 In a previous Twitter update, the cover image was added in for additional space to create custom branding of a profile. This cover image was updated again expanding over the entire top of the profile. This area can have a picture uploaded in the format of 1500x500px. The header image will also re-size automatically for you when uploaded. Along with re-sizing, you are able to zoom in on the photo to capture a more detailed image. In order to accommodate this new cover image, the background image that previously took a majority of the custom real estate is now no longer available. There is an option to add a “theme color”, although you can now only use one color compared to the previous ability to choose a background color, font color and hyperlink color. In this April 2014 update, Twitter has taken a similar approach to Facebook and now allows you to “pin” a tweet to the top of your Twitter timeline. 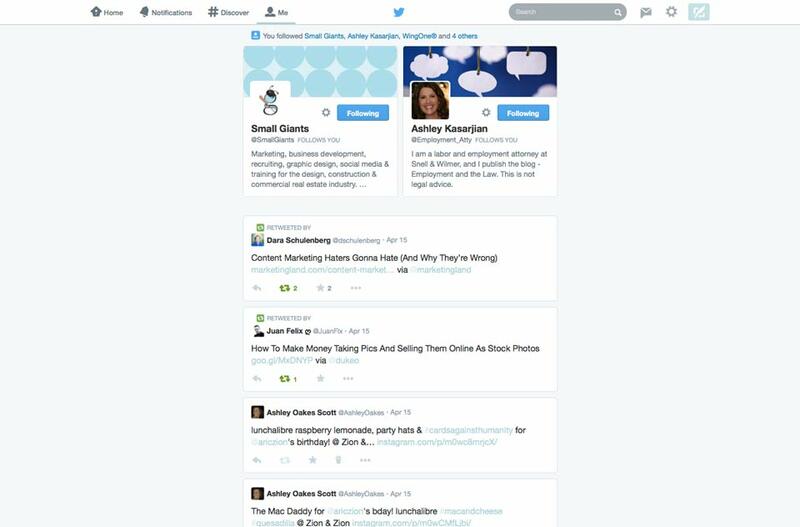 Tip: When pinning a specific tweet, note that any tweet that was previously pinned will no longer be pinned. Similar to Facebook, Twitter only allows one pinned tweet at a time. After reading further into the changes that Twitter recently made in April of 2014, I quickly learned that there were several other new additions. 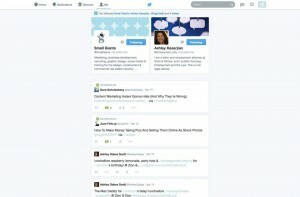 If you scroll through your new Twitter profile, you will notice that some tweets are now larger than others. The larger tweets are showcasing your more popular tweets depending on the number of views, retweets, favorites and replies. Name, handle, bio and pictures can all be found on the left side of the page below your profile picture now. “Who to Follow” and “Trends” boxes are now opposite of where they were before (on the right side on your profile). The “tabs” containing Tweets, Following, Followers, Favorites and Lists, that were once on the top left corner can now be found to the right of your profile picture and below the cover image. There is now a photos/videos tab instead of a box that was previously below all of these options in a box format on the old layout. Speaking of new tab options…now when you click on most of the main tabs, there are different sub-options within said tabs. This tab gives you the option to view only tweets that you have created (with your retweets included) or an option to view tweets and replies. This tab is a collage of all videos and photos that you have directly uploaded through Twitter. These do not include retweets or images/videos that may have come through from Instagram. 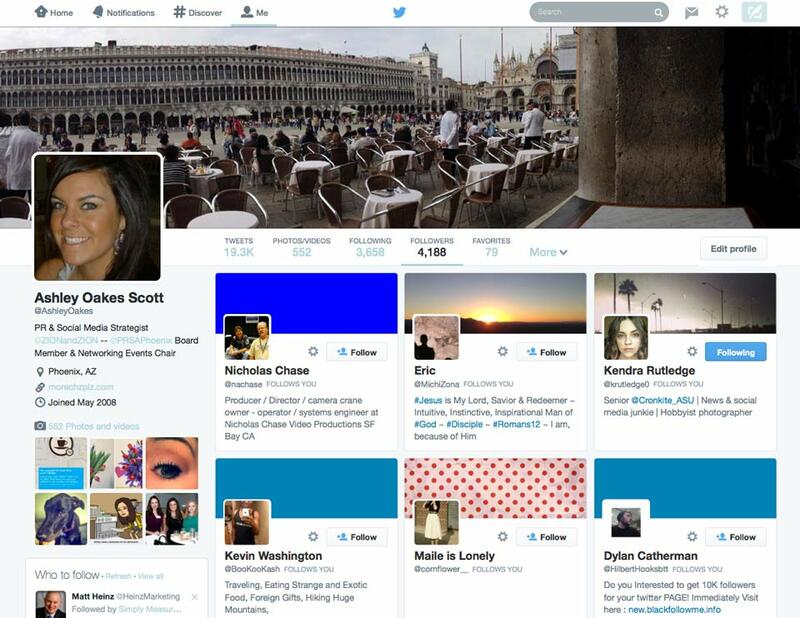 This tab shows you all accounts that you are following. Instead of an individual list, this update allows you to view the account’s cover photo, profile image, name, handle and bio information. The new look almost has a Pinterest feel, giving you a larger visual to the accounts that you will be interacting with. This new update reflects the following update. You are easily able to see if you also follow the account that follows you, allowing you to decide if you would like to follow back. This tab shows all tweets of others that you have marked as a favorite. The new layout for lists allows you to choose from “Subscribed to” and “Member of.” “Subscribed” to are the lists that you have created. “Member” of are the lists that others have added you to. All of these tab options are also available to view when you go to another account’s profile. Want to try the new profile look on your own account? Below is the link to request the change from Twitter. Request the change from Twitter for your profile here.